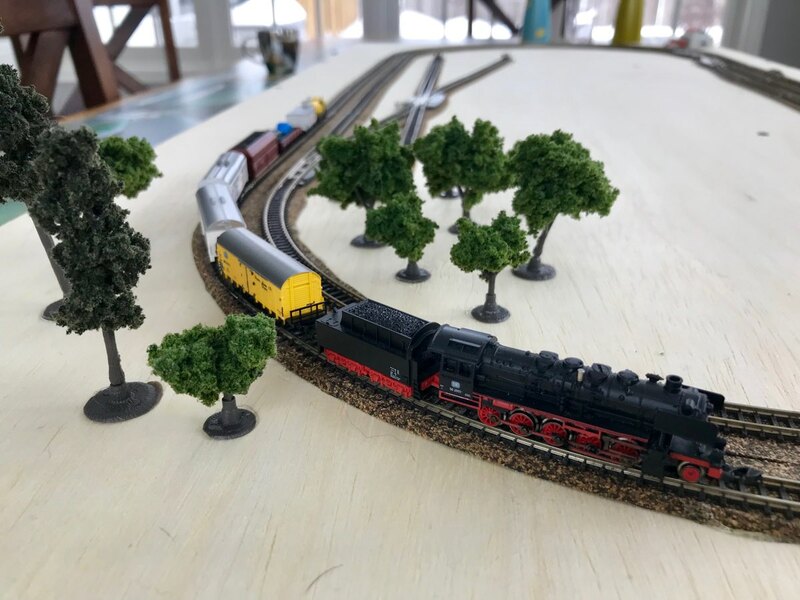 Model trains are always fun. Tyler and I are running the train yard today. Z-Scale is hard though.